Wound healing is a process of repairing the skin after an injury. Delayed healing is an invitation to various infections and affects the immune system of the body. Supplementation of ascorbic acid in combination with zinc improves the human immune system. Prime Source Cizine consists of these two essential elements, which helps you recover quickly from the damage and scars on your skin. 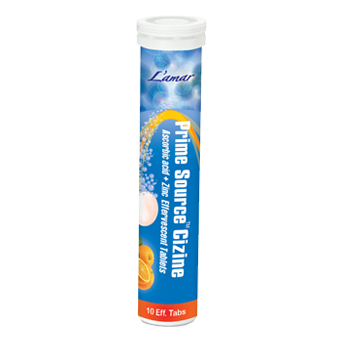 Prime Source Cizine consists of ascorbic acid and zinc which increase the number of immune cells that help to recover quickly from the trauma by gently healing the wound, thereby enhancing the immune system.